Georgia SEO Explosion, LLC is aimed a being the leading marketing agency in the south east by over delivering for every one of our clients. We have developed a system that will blow your competition away and bring you the customers your company deserves. Our techniques imply, SEO strategies, social media branding or optimization, visual designers, along with optimizing your conversion rates to improve your overall profit by having a better return on your investment. After using Georgia SEO Explosion, LLC you will no longer worry about where to get your customers and also reduce your advertising cost. Shane is about being as open and transparent as he can to provide the best information to keep his clients well informed of their progress. Every company has different hurdles to over come so results could be quicker for some and slower for others. In the end, the goal for us to deliver you the very best results that we can but with everything, there are no guarantees but we promise to deliver a professional service. If the items we recommend are done then the greater the odds of meeting your goals can be. 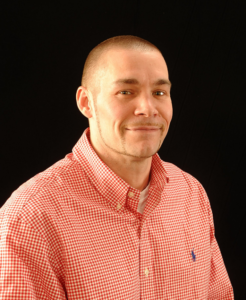 Shane Welcher is an internet entrepreneur known for helping businesses to the next level by reducing their advertising cost and improving their conversion rate. When it comes to search engine optimization and company branding then the strategies that he uses is second to none. He has worked in this field over the past 4 years but with other SEO companies and has now made the change to being CEO of what he feels will become the leading search engine marketing agency in the south east. Shane currently lives in the beautiful town of Augusta, Ga but services all the surrounding areas to an out reach of all of Georgia and parts of Carolina.